The Washington Post is reporting a top-secret National Security Administration data-mining program that taps directly into the Google, Facebook, Microsoft and Apple servers among others. “The National Security Agency and the FBI are tapping directly into the central servers of nine leading U.S. Internet companies, extracting audio, video, photographs, e-mails, documents and connection logs that enable analysts to track a person’s movements and contacts over time,” reports the Post. 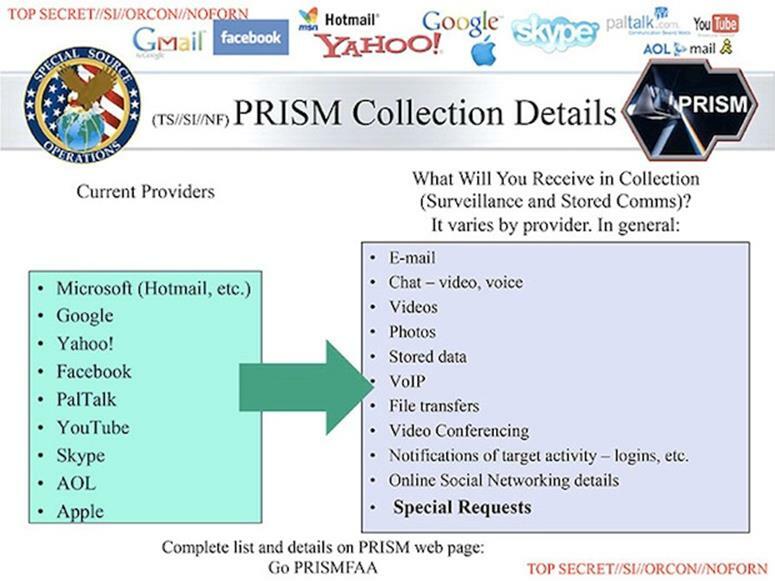 From there, the NSA mines the data for suspects, then “hops” to their potential contacts, exponentially increasing the number of Americans that the NSA can spy on (by mandate, the NSA is supposed to monitor foreigners). 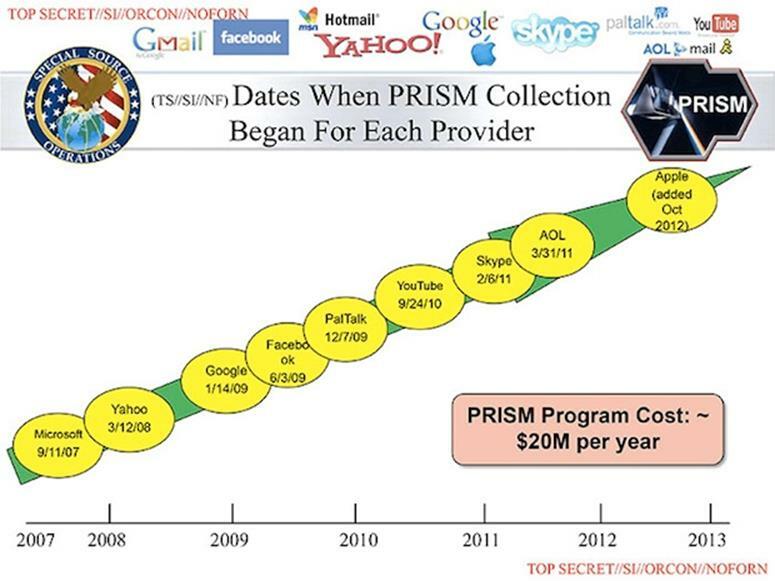 According to the Post’s slides (below), the number of PRISM partners has steadily grown over the years. Microsoft, the first partner, began in 2007, Yahoo in 2008; Google, Facebook and PalTalk in 2009; YouTube in 2010; Skype and Aol in 2011; and finally Apple, which joined the program in 2012,” explains the Guardian. This revelation follows yesterday’s exposé by the Guardian on the NSA’s program to monitor phone data of every single U.S. call on the Verizon network. The Post notes that resistance seems possible, given Twitter’s conspicuous absence from the list of companies.